Transesterification is an organic reaction in which the organic group R′′ of an ester is exchanged with another organic group R′ of an alcohol according to a mechanism called alcoholysis. 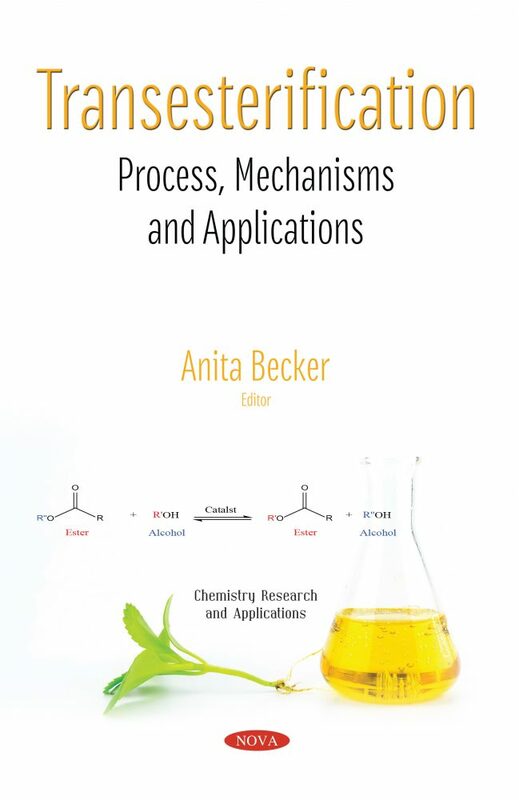 In this compilation, the authors address the way the transesterification process has become widely popular in biodiesel production, on an industrial scale, by reaction of triglyceride with short-length alcohol (methanol and/or ethanol). Next, Jatropha curcas Linnaeus, a non-edible raw material, is discussed as an attractive alternative for biodiesel production. The heterogeneous acid catalysis of this second-generation raw material is examined, including the mechanisms of esterification of fatty acids and transesterification of the triacylglycerides present in Jatropha curcas L. oil. Next, the transesterification reaction is the main process used for vegetable oils, animal fats, waste cooking oil and micro/macroalgae. Thus, the authors propose that catalysts should be used to improve the rate of production. The closing portion of this book reviews the use of transesterification reactions within laboratory courses of environmental and sustainable chemistry programmes for undergraduate chemistry students over the past 15 years. The authors propose that in the future, these experiments should be revised to include discussions of process sustainability and illustrations of life-cycle analysis approaches to bio-fuel production.